Review - The partners of the 200th anniversary of "Silent Night"
Great things can only be achieved together: And this is why we were delighted to have so many partners on board for the big “Silent Night” anniversary celebrations in 2018. Together, we indeed did everything possible to ensure that an unforgettable monument to the creators of the famous Christmas song and the people who carried it into the world was created. The song is the best ambassador for its beautiful home. Whenever and wherever in the world this song is played, between the lyrics and the notes, it’s ancestral home and the history of its creation always resonate. Even the unspoken unfurls its effect. It is our biggest goal to offer visitors from across the globe an unforgettable journey to the 13 Silent Night locations in SalzburgerLand, Upper Austria and Tirol. Airport Salzburg GmbH Salzburg Airport is the second most important airport in Austria: 1.7 million passengers each year enjoy the comfort of the centrally located airport, just a few minutes by car from the city of Salzburg. Austrian Airlines Austrian Airlines is Austria’s largest airline and has a worldwide flight network of around 130 destinations. Tour operators and incoming operators Partners and contacts to plan your Silent Night holidays or group trips look forward to assisting you. 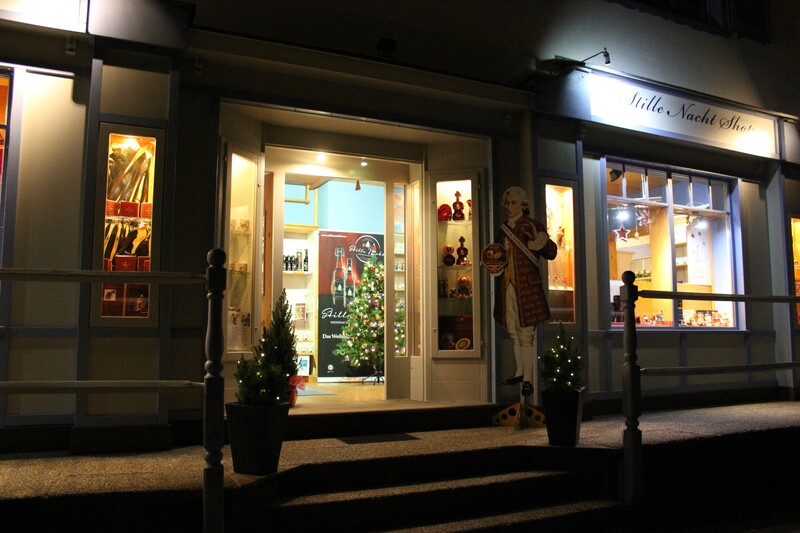 Silent Night Shop Oberndorf A well-balanced range of fine products based on the theme “Silent Night”. Also available to buy online! The Silent Night Association Since its foundation in 1972, the Silent Night Association has dedicated itself to research, procurement and networking associated with the famous Christmas carol.